Counting every dollar with you~: Best Deal: Insinc - Travel & Earn Rewards! Mdm Cheapo is well cheapo so a cheapo is at the mercy of the public transport. 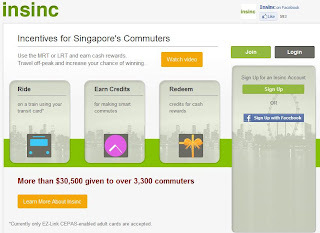 Well NUS came up with a reward system to attempt to change travel patterns through a reward system for travelling. 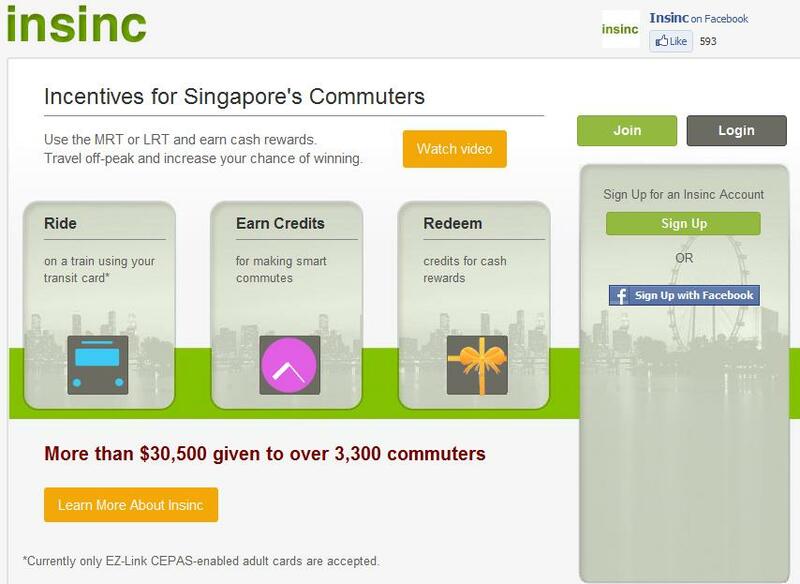 You get more points for travelling during off peak and points are used for cash rewards back to your ez link card. Signing up is free and subjected to them reviewing your travel pattern for a week and then MAY accept you. They even have a facebook page which I MAY consider "liking" if they accept me/anyone in my family. Yes, Mdm Cheapo signed up for the whole family, why wouldn't I? I highly suspect they will accept the morning working class who typically travels from 7.30-8.30am.